May 28, 2015 Affluent Investor Fact: Why are investors becoming more interested in socially responsible investments? Sixty-two percent of investors indicate they want to create a better world for their children and grandchildren. Fifty-seven percent feel that socially responsible investing will help to improve the environment. Forty-eight percent believe that socially responsible investing will create a better world for the less fortunate. Forty-six percent believe that investing in companies that are socially responsible will make other companies more socially responsible. Older investors are more likely to believe that socially responsible investing will create a better environment and will create a better world for their children and grandchildren. 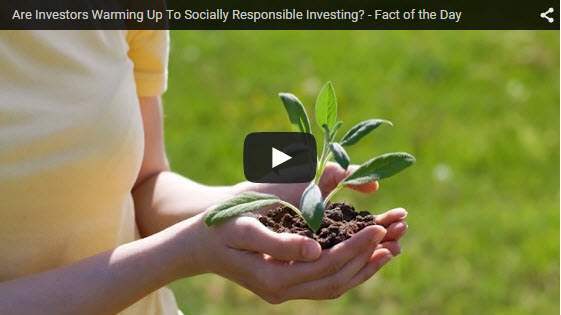 Did you know that about half of investors are now interested in socially responsible investing?